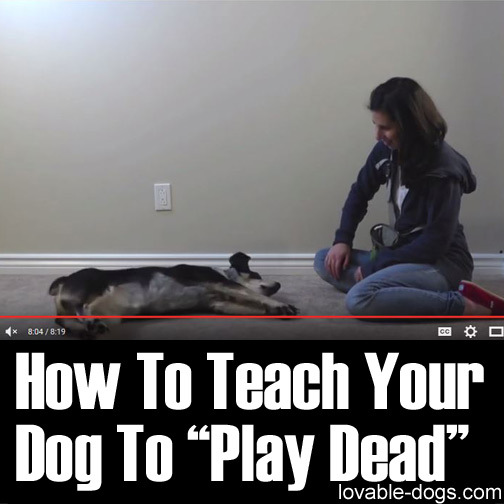 This video by Treatpouch.com is an interesting take on how to teach your dog to play dead. 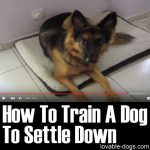 The trainer in the video utilized the clever technique of backchaining in order to train the dog the whole command. Backchaining is explained as teaching the last part of the trick before anything else. After this, you continue the chain of behavior working backwards. 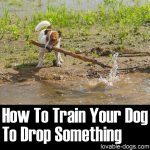 By using this technique, the behavior at the end becomes the most reinforced one. 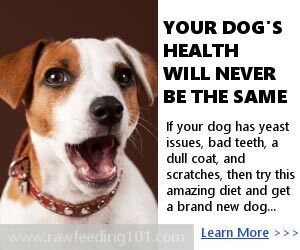 This means that your dog will become eager to complete the full chain in order to claim its reward in the end. 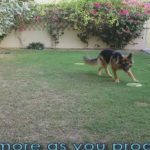 Reinforce the base position by letting your dog go down with a single hip relaxed. 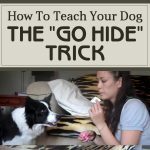 From here on, you have to lure your dog into the rest position then give it dog treats before you mention the release word. 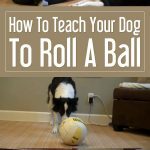 The essential thing is focusing on the dog’s roll where you lure it from the ‘down’ command towards the ‘rest’ command. It is understandable that flipping is the hardest part of this trick. You will need multiple practice sessions and considerable patience in order to accomplish this part of the process. The next step is simplifying the hand signal. It is best that your hand signal works by having your palm turn from facing down to facing up. 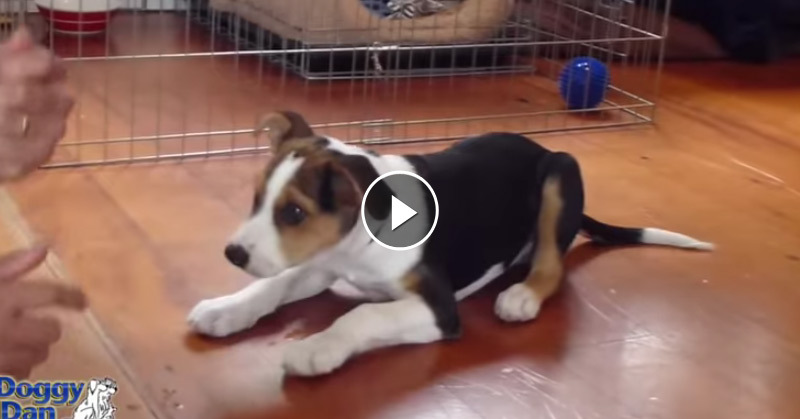 Repeating this over and over again will help your dog get familiar with simpler hand signals. 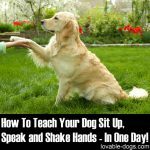 You have to focus on the muscle movement required to make your dog go from a sphinx down into a relaxed down. 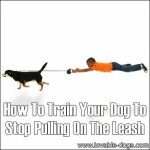 Use the lure to start your dog in a relaxed down then add the ‘rest’ command. 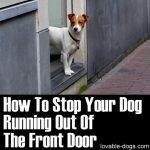 The next step is when your dog is in a standing position, cue ‘Down’ then ‘Rest’. 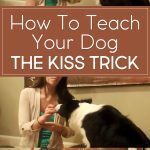 If you have to, you can give your dog a treat when it performs the down position with a relaxed hip. You then have to include the bang hand signal. It is best that you pair it with the other two signals. 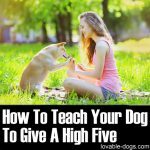 As your dog gets to master this, you have to eventually fade the other signals and keep the bang hand signal. 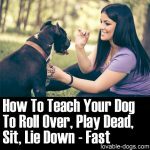 You can tell that your dog learned the whole process if it only relies on the bang hand signal to perform the play dead trick. 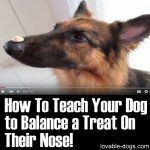 In the video, you can see that everything is not as easy as it seems. 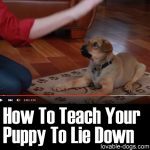 One great lesson from the video is that a dog’s attention has a tendency to drift; but you need to keep it focused in order to achieve your goal of teaching it a specific command. 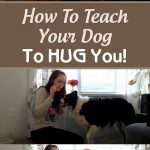 It is understandable that there are various steps that the dog needs to understand in order to complete the whole process. 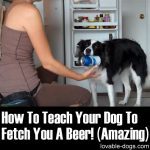 This may take time, patience, and many repetitions before your dog will get it but as you can see in the video, it is effective!